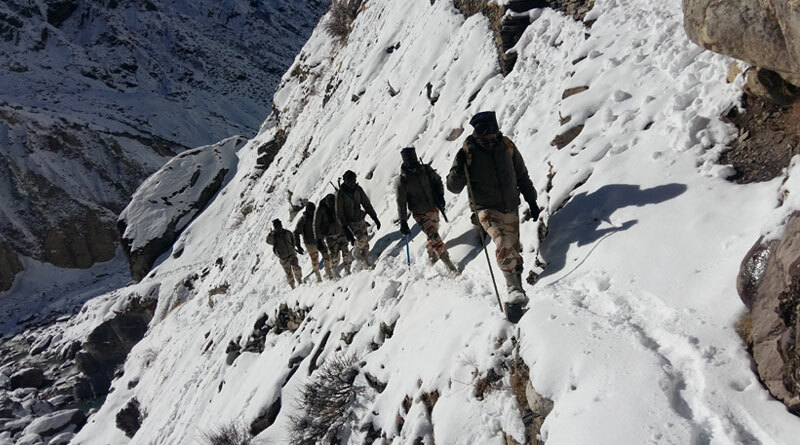 The Chandigarh frontier of the Indo-Tibetan Border Police (ITBP) was shifted to Jammu and Kashmir’s Leh, in a move seen to counter the Chinese military build-up in Ladakh sector. Tasked to guard the India-China border in peace times, the North West (NW) frontier of the ITBP is headed by an Inspector General (IG) of Police-rank officer. Speaking to FORCE Magazine, IG ITBP (North West), Arvind Kumar, said as reported in some media, it should not be mistaken with a ‘Command,’ but a frontier headquarter, which was located in Chandigarh for last many years. This command establishment has been moved from Chandigarh to Leh, which has become operational with effect from 1st April 2019, he said. “The decision was taken by the government in 2015, and thereafter, because we had no infrastructure to accommodate the frontier, in additional to whatever we have already. And road connectivity is as big issue for Leh. We had now acquired the land also. So we completed all the process and then it was decided that this year, 1st April, we move to J&K. Initially, we may operate from makeshift arrangements, but, hopefully, by the end of the year, we should have proper infrastructure and shelters in place in the unfriendly weather,” Kumar said. On operational control issue, he said, “we are working in tandem, if at all there are issues they maybe at higher levels. I can’t comment on what’s happening at high levels. I have been in the command for last almost five and a half years and I cannot recall any instance where there has been any conflict, at least at my level or below.” There have been conflicts between the army and the ITBP regarding the operational control in the past and it is anticipated having both of them at the same combat location will resolve the issues. On being asked whether it will be a smooth ride for the army and the ITBP to work jointly, he said, “why should it not be? There is no question of over-stepping on each other’s role. We know that the army has a very well-defined role and the ITBP its own,” he added, saying that there’s going to be perfect coordination amongst the forces.